Millions of years ago this amethyst crystal were created in what is now the Kiruna mines, Sweden. This necklace is made out of 18K gold with a raw swedish amethyst crystal found in the Kiruna mines. Every crystal is unique. The pendant is ca 15mm long. 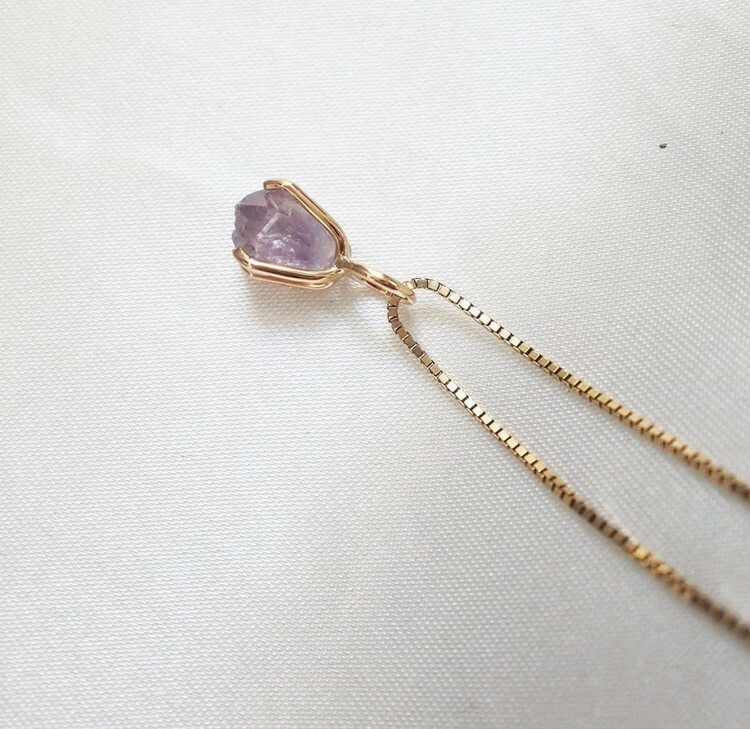 This piece of jewelry is made by hand in Sweden in recycled gold with a swedish found amethyst. This necklace is in stock and will be sent to you within 2-5 working days.